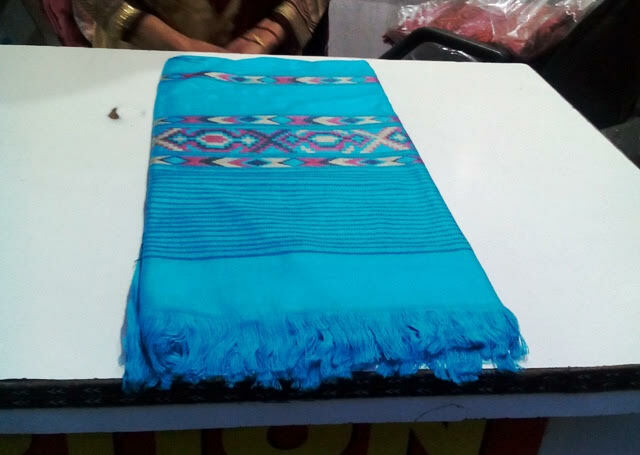 Himachal Shawls, Tibetan Shawls,Kashmiri Shawls, Yak Wool Shawls, Pashmina Shawls, Kullu Shawls, Kinnauri Shawls, Woollen Stoles, Bandanas, Mens Mufflers, Cashmere Shawls, Lamb Wool Shawls, Mens Woollen Shawls. 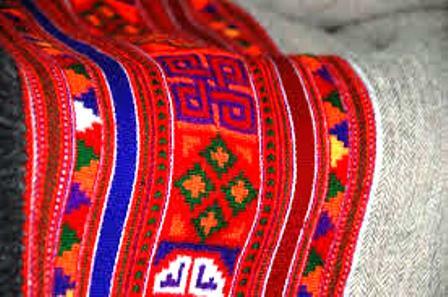 The Warmth of Winter can best be enjoyed by a fire side in the Himalayas or by cozying yourself in the famous Himachal Shawls like the Kullu Shawls. 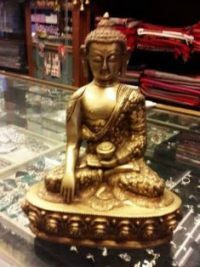 The state is famous for its Woollen Stoles, Kinnauri Shawls, Yak Wool Shawls and Tibetan Shawls coming all the way from snow-capped Himalayas of Tibet. 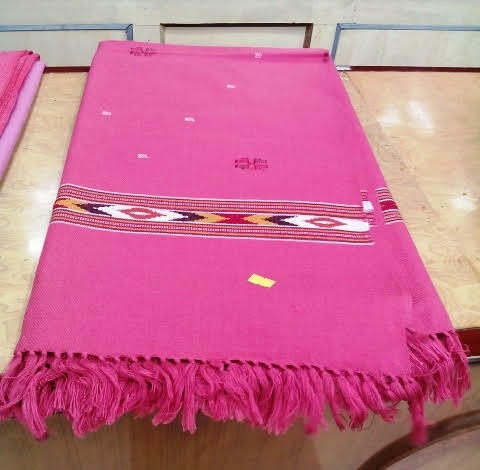 The pure Lamb Wool Shawls are a gift from the roaming shepherds of Himachal..they come with beautiful Kullu shawls motifs and Kullu designs which are hand woven on the loom. 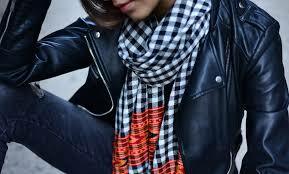 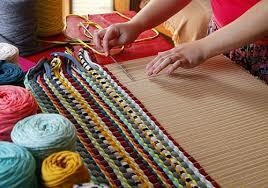 The Woollen Doshalas, Woollen Men Shawls and Pashmina Shawls are a delight for winter. 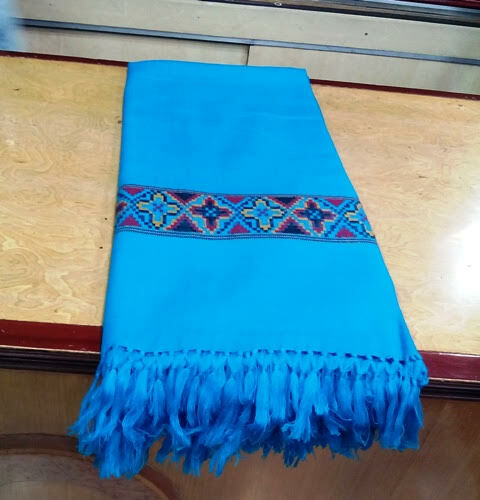 Himachali Scarfs , Kashmiri Shawls, Bandanas, Special Pashtush Woven Shawls, Cashmere Shawls, Mufflers and the pride of the state..the Angora Shawls are a must in your winter wardrobe. 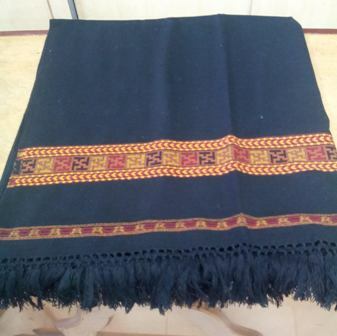 Brand : Handcrafted Kinnauri Doru Border Ganesh Kali Shawl in pure wool. 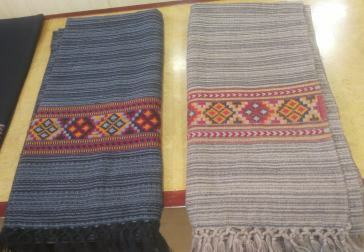 Brand : Handcrafted Himachali Border Shawl in pure wool.